1. You cannot use profanity or be otherwise belligerent toward Cast Members or other Guests. Disney World is a family place. It is also a place where happy memories are made. So it makes sense that there’s no room for profanity, vulgar or inappropriate language, belligerence and the like. This is important as it pertains to how Guests relate to other Guests and to Cast Members. But it also relates to how Guests act toward their own traveling parties. 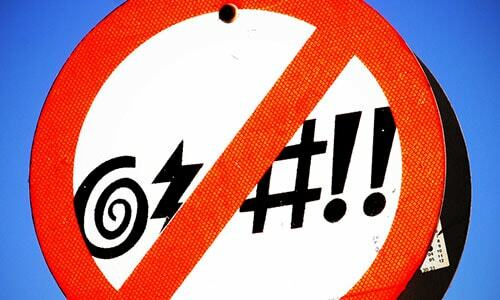 If you are using profanity where others can hear it, you will be asked to refrain from doing so—even if you’re directing your frustration toward your own family. When a Cast Member gives instructions or directions, Guests are to comply with those instructions as they are for the safety of Guests in the parks. Blatant disregard for requests made by a Cast Member can result in removal from the parks. So remember to take a breath, take a minute and speak kindly toward others—or not at all—at least while you’re enjoying Disney World.